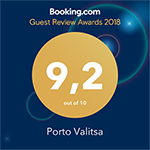 Porto Valitsa is an ideal place for your vacation. Located on a hill overlooking the sea, it features a pleasant environment. Yet, attractive beaches located nearby are another main reason why you should spend a holiday with us. 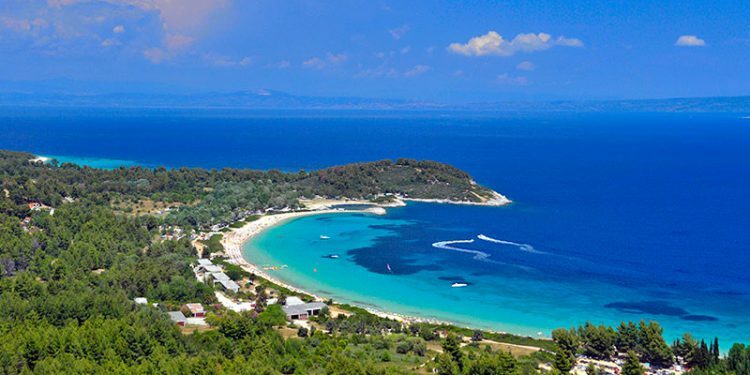 Continue reading to find out what beaches stand out among others in this part of Kassandra Halkidiki. Chrouso is a long, sandy beach located in a bay featuring the shape of a quarter moon. The water is crystal-clear, ideal for snorkeling, while shoal is long. This particular beach is among the most popular on Kassandra, so arrive early if you value a bit of solitude. Bars offering refreshment and fun are available on Chrouso Beach. Glarokavos is a long, pebble beach that is an antithesis to Chrouso in regards to crowding. There, you can find a space just for yourself and enjoy serene atmosphere. Edged by wooded areas, it has a gradual entry into the pure water. Buy a drink at an on-site beach bar to use sunbeds and listen to relaxing music. Kanapitsa is a secluded beach located between the beaches of Glarokavos and Chrouso. Featuring soft sand and clear waters, it is among the best options for people that value privacy more than anything else. Loutra Beach may be a bit farther, but is worth a short trip for sure. It is a photogenic, rocky beach popular among holiday makers. Take photos of Mount Olympus across the Thermaikos Gulf and sunbath in a nudist area. Most of all, inhale fragrances of nearby pine forests. 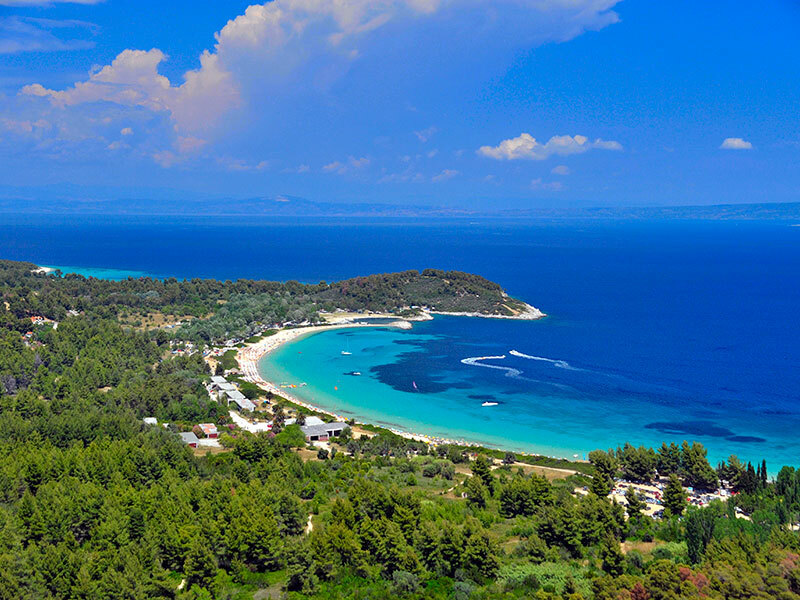 For enjoying the benefits of an organized beach, head to Pefkohori, one of the main holiday resorts on Kassandra. The beach features fine gravel and gradual entry into the water. Endless bars, eateries and shops line the adjacent promenade that is long beyond sight. After all, you don’t need to go anywhere to enjoy the benefits of a first-class beach. A bar overlooks the small beach of Porto Valitsa, while rocky hills and lush greenery surround it. A dozen meters or so away, a small cove may be there just for you.